Ever watched someone else put their makeup on and wondered what on earth they use all those different brushes for?! They will have learnt their tricks from somewhere so it?s time you stole them! Countless brushes may seem like overkill, and sometimes it is. The truth is that every makeup bag needs no more than six brushes ? we?ll tell you what they are so you can invest in only the things you need. They will make applying makeup so much easier ? give it a go! 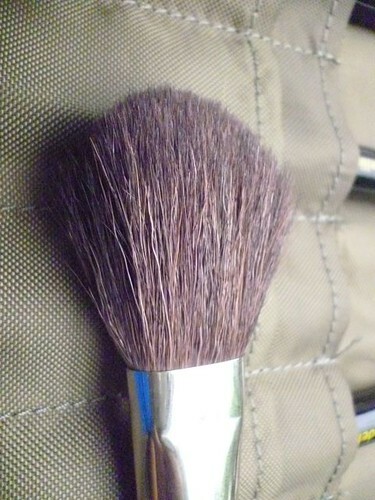 This brush allows you to apply your foundation without using your fingers (which can be contaminated with oils). Once you?ve applied it, blend the foundation in with a sponge ? this will help avoid the ?line? that sometimes appears on the jaw. Wipe off any excess foundation after use and put it away somewhere where it won?t get damaged. This useful little blighter is great for applying concealer. Apply the smallest amount on the targeted area, and use your little finger to blend it in. Add foundation over the top and you?re sorted ? blemish-free skin! Remember this brush will need the most care as it will come into contact with the most germs. 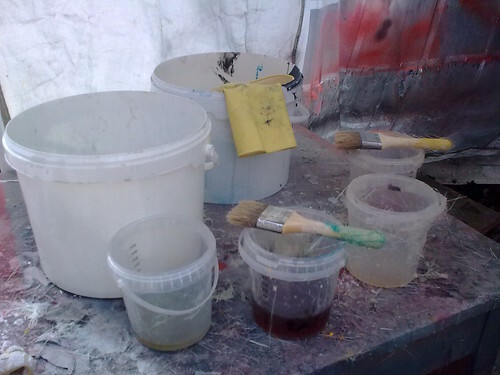 Dirty brushes will re-infect old spots as well as cause new ones. This is a large brush for applying powder on top of foundation, and it?s the biggest brush that you will need in your makeup artillery. Apply in a downwards motion, starting at your forehead and working down to your neck and chin. Shake off any excess powder after use to keep it at its best. Blusher brushes do what you?d imagine them to ? they apply blusher! Blusher is meant to highlight your cheekbones so only use it in the right places. Sweep the brush starting from the point nearest the nose, across to the level of the top of the ear. 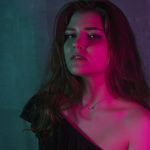 Remember less is more here ? choose bronze and peach tones rather than red to avoid the clown effect! This is a smaller brush designed to apply eye shadow accurately. A good quality one will really help you out as it?s much better at blending than the cheaper options. Start in the corner of the eye nearest the nose and work your way out, building up layers of colour as you go. It?s best to keep darker colours to the corner nearest the nose, and let the shade get lighter as you work outwards. By far the best tool for blending eye liner, a smudging brush helps you turn your boring black eye liner into a smoky effect. 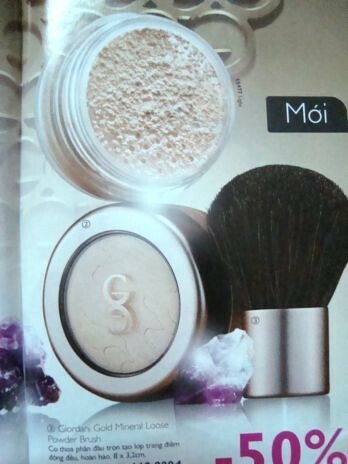 It?s great for night-time when you want your makeup to be slightly heavier. If you?re after a rock-chick look you won?t want to be without this little number! 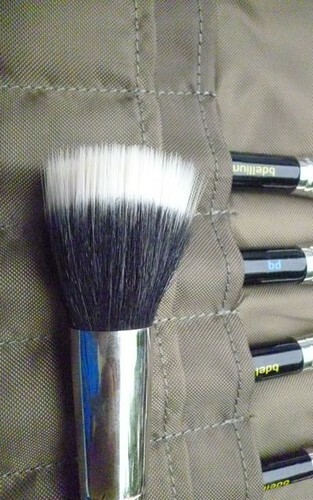 Look after your brushes by keeping them clean and covered up when not in use. 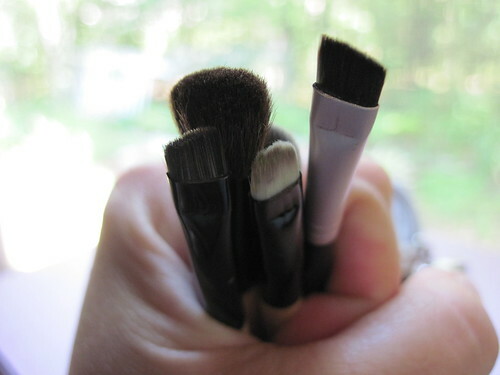 These six brushes are all you need to create professional-looking makeup at home ? and if you look after them well they should last you a good long time. Today’s guest author, Sarah Evan, She works in a cosmetic store called Chi Chi cosmetics. She is a firm believer that mineral makeup is more than just a new beauty trend, it claims various health benefits for skin as well.